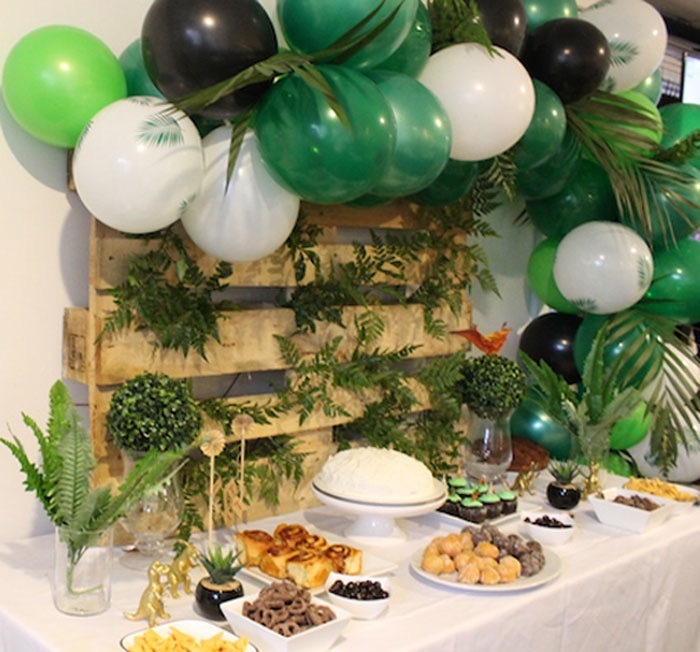 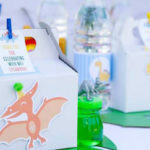 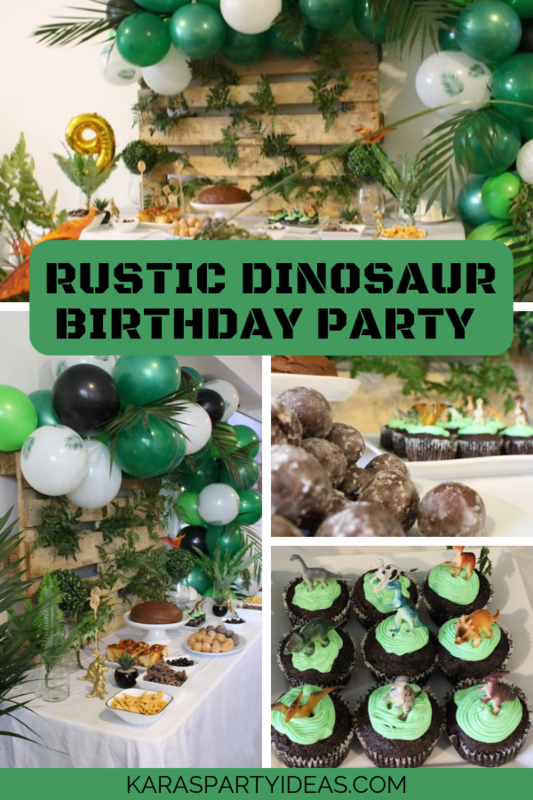 Feel the stomps and hear the roars, this Rustic Dinosaur Birthday Party by Lana Andrews of Events By Scoops, out of Scarborough, is full of ideas to explore! 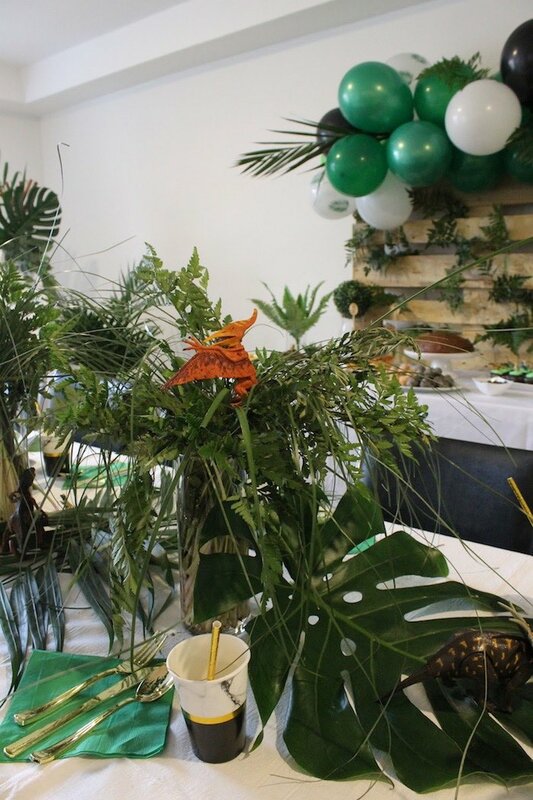 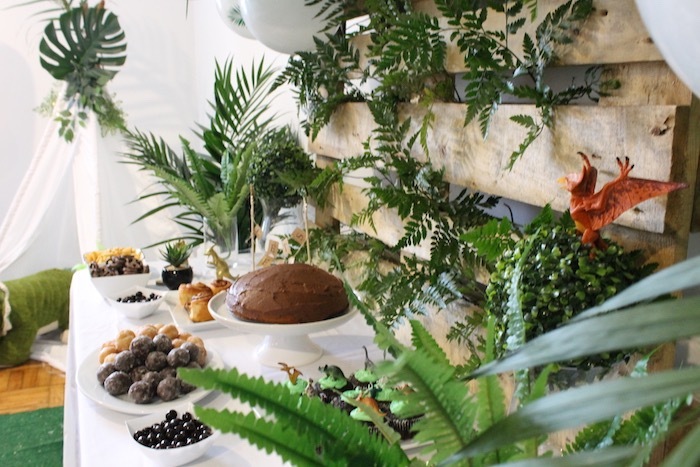 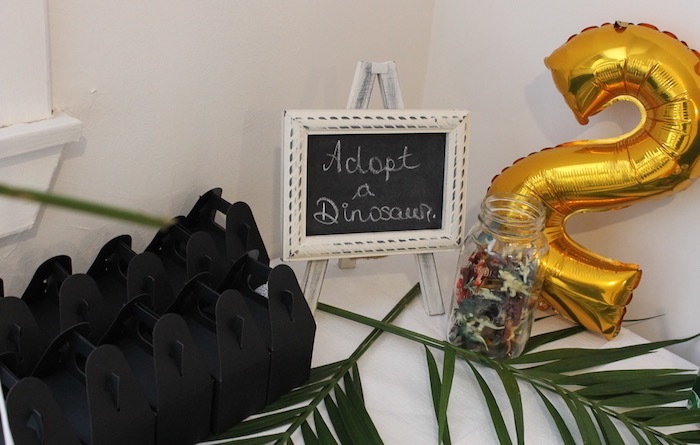 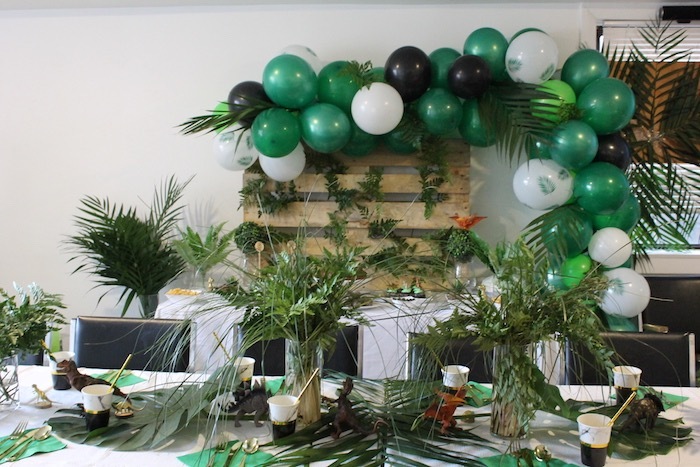 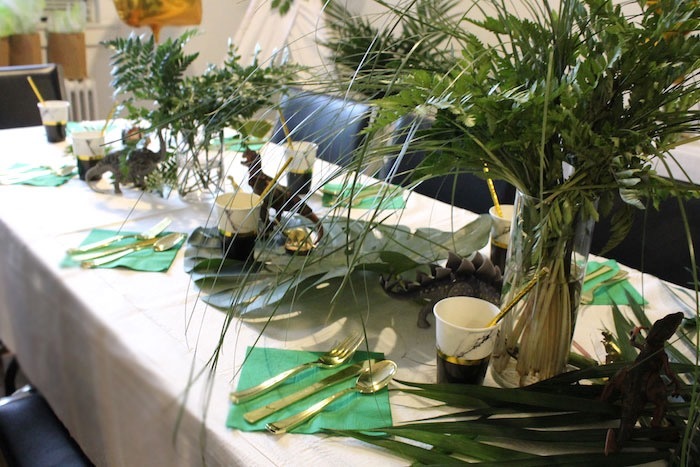 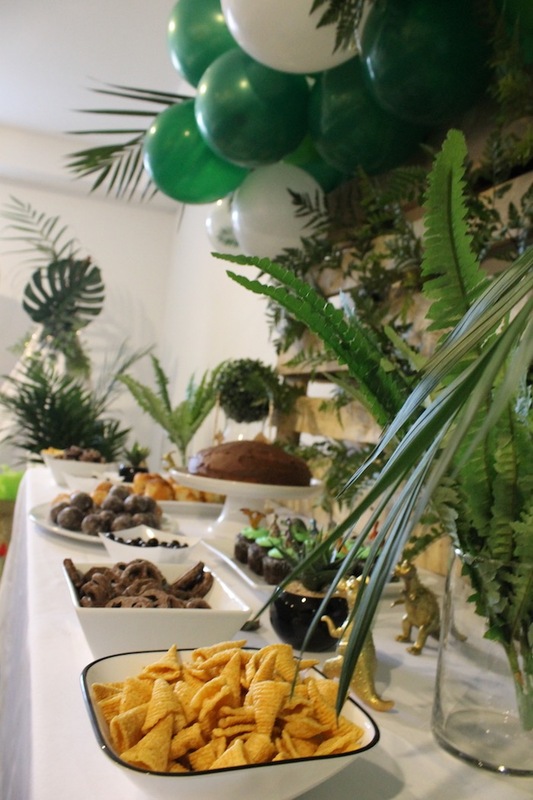 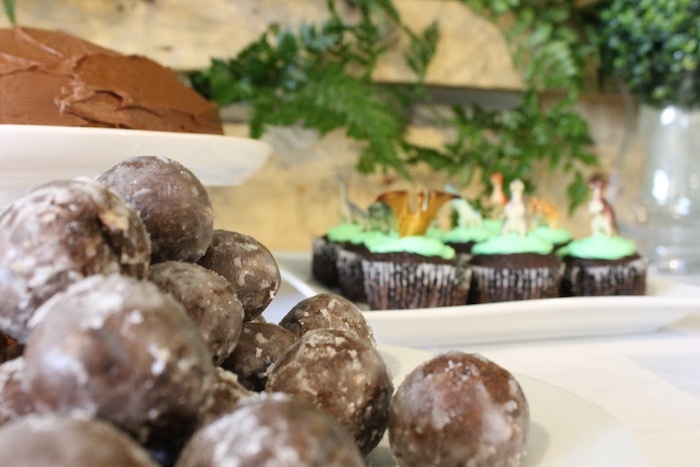 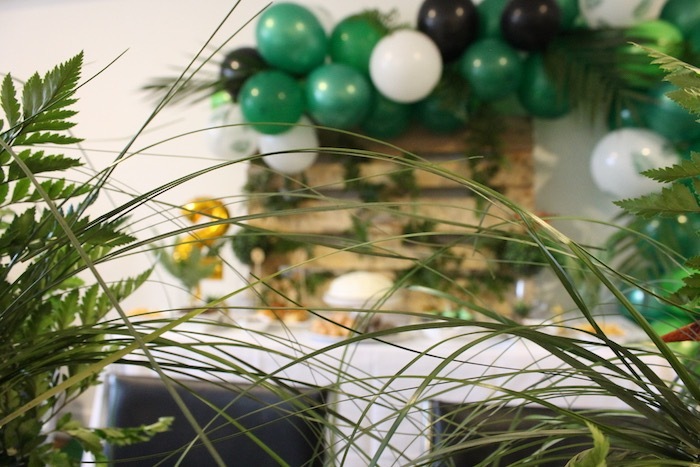 …From the jungle greenery to the dinosaur sweets, this reptile party is prehistorically neat! 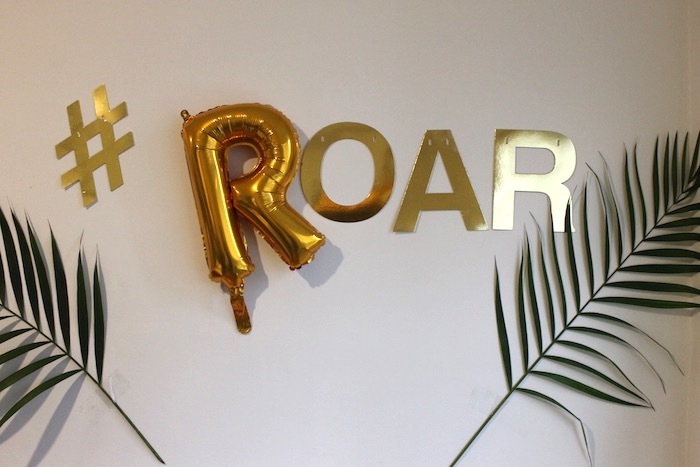 “I must say I am completely “Roared” about how well this party turned out and literally only a week to plan and send out invites. 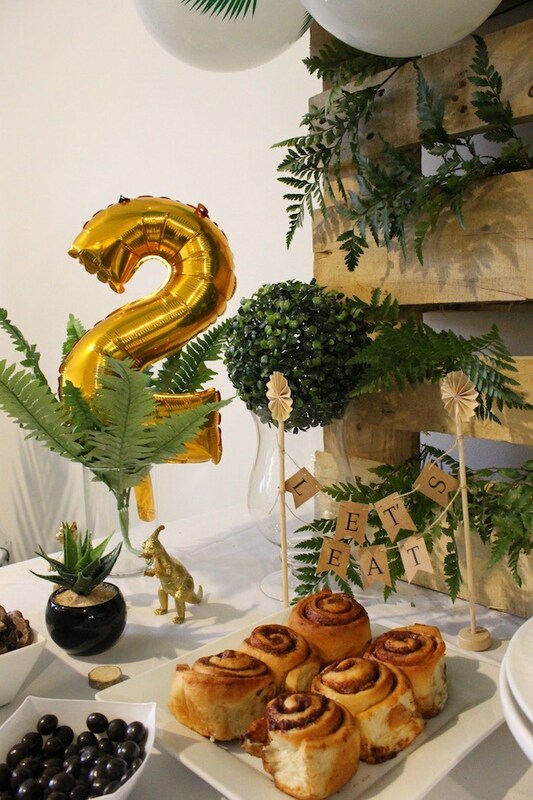 (guilty on the invitation etiquette) lol. 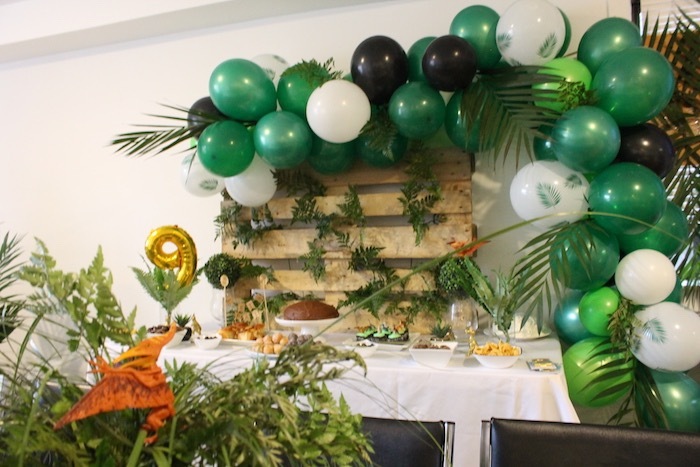 Both our boys celebrated their birthdays right after the holiday season January 7th & 8th, talk about back to back. 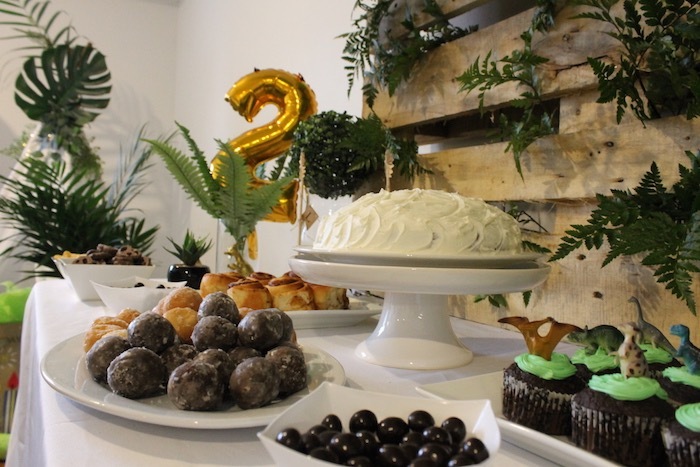 ;) So we made it a two in one party. 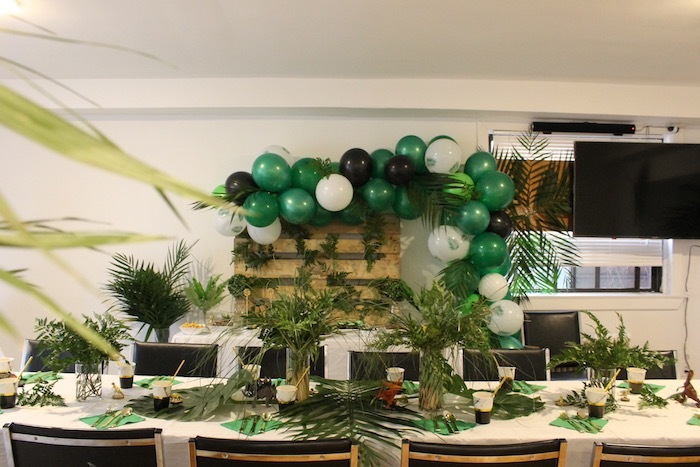 I can’t take all the credit, I must thank my sister Denise who also does wedding planning for Make My Day Count, we agreed on the theme for the boys and did the floral styling. 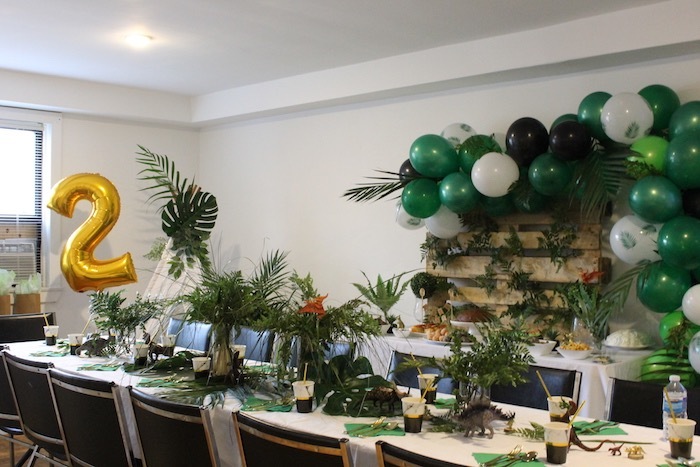 My oldest (9) loves Jurassic World and my youngest (2) is just handsomely roar-some which also made the party theme perfect, they are boys and both wild. 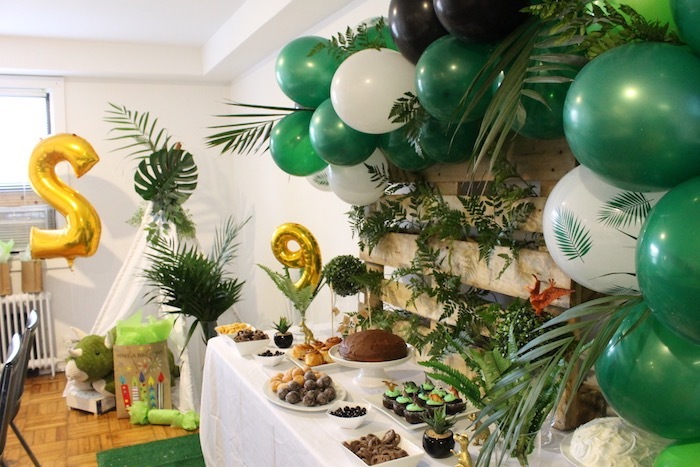 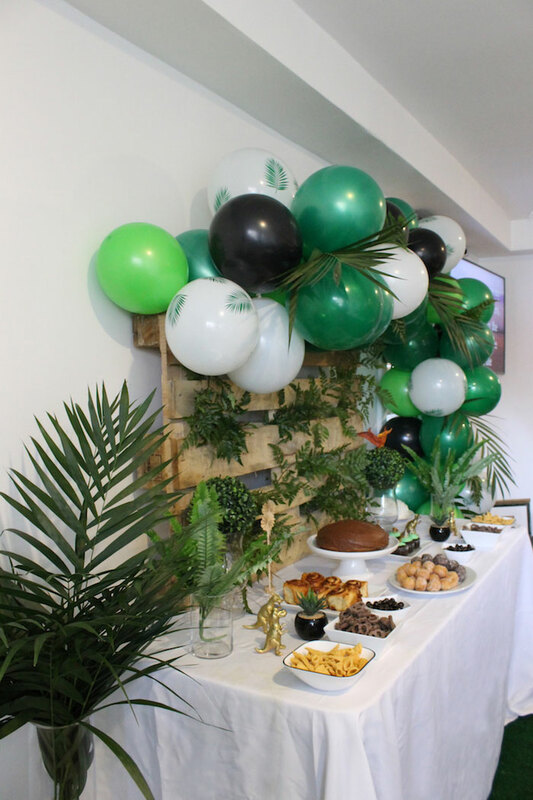 The space was decorated and styled to have a Jurassic feel with palms leafs, ferns and monstera leafs, and artificial Turf. 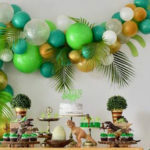 I can’t pick one thing that I liked because I loved it all. 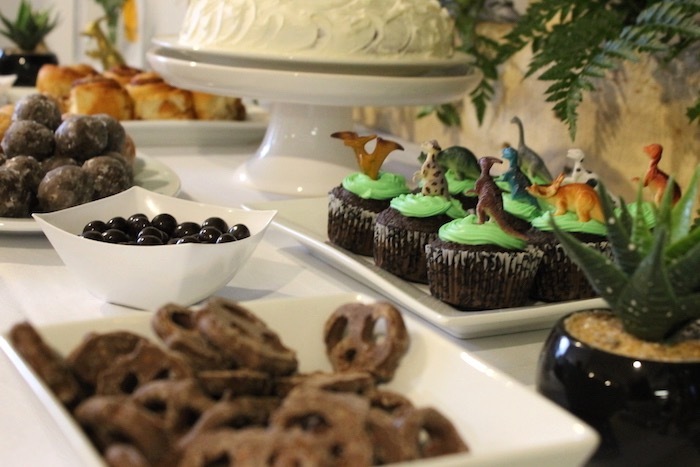 The sweet-table was filled with delicious treats such as cupcakes and cakes (one chocolate and one vanilla baked by our 10 year old daughter (Kirsten Glasgow) for her brothers. 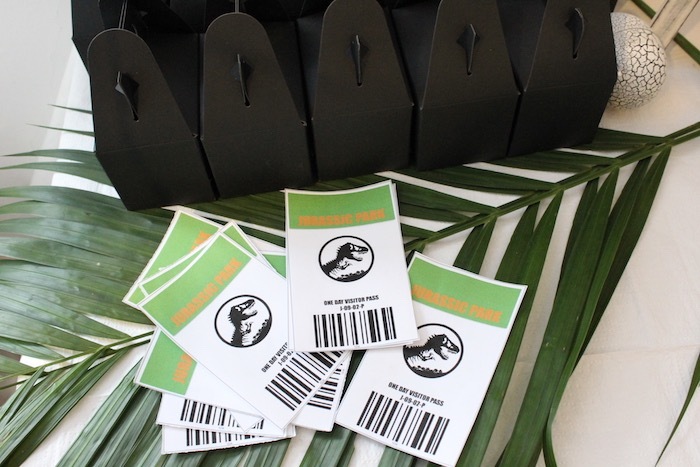 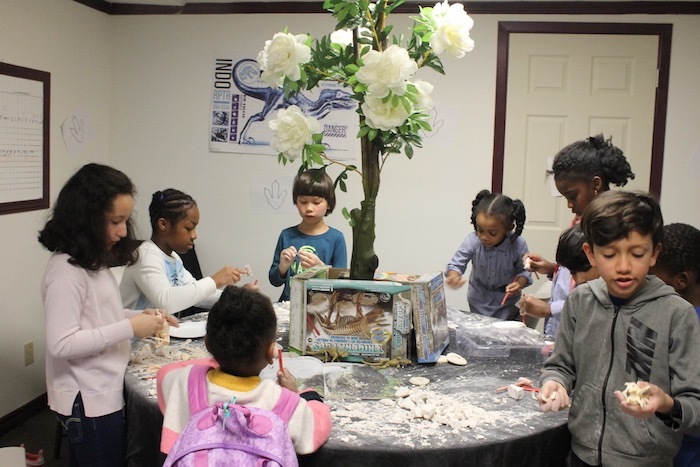 The kids visited the Dinosaur Exhibit with my DIY “One Day Visitor Passes”, where they worked together in groups to find fossils, learn about dinosaurs from books and posters. 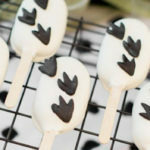 They really loved it. 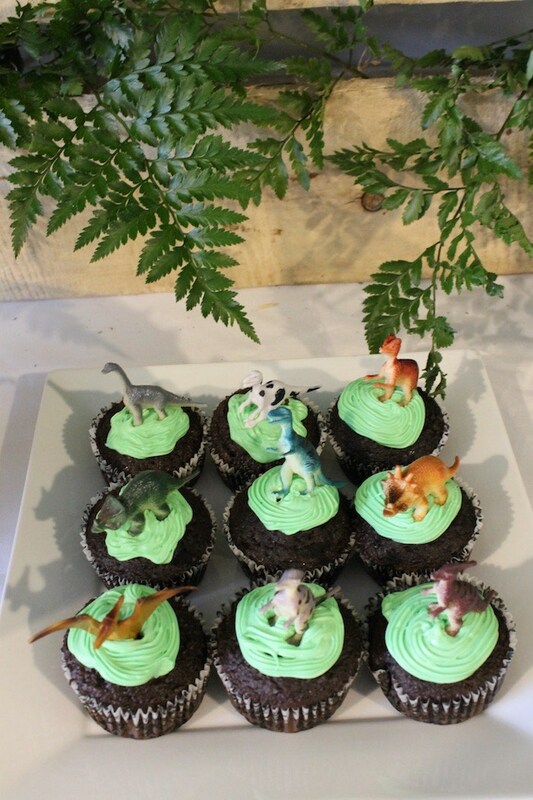 They played games such as dino stomp, hot dinosaur egg, hatch the egg, guess how many dinosaurs there are. 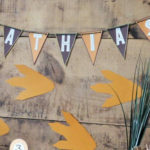 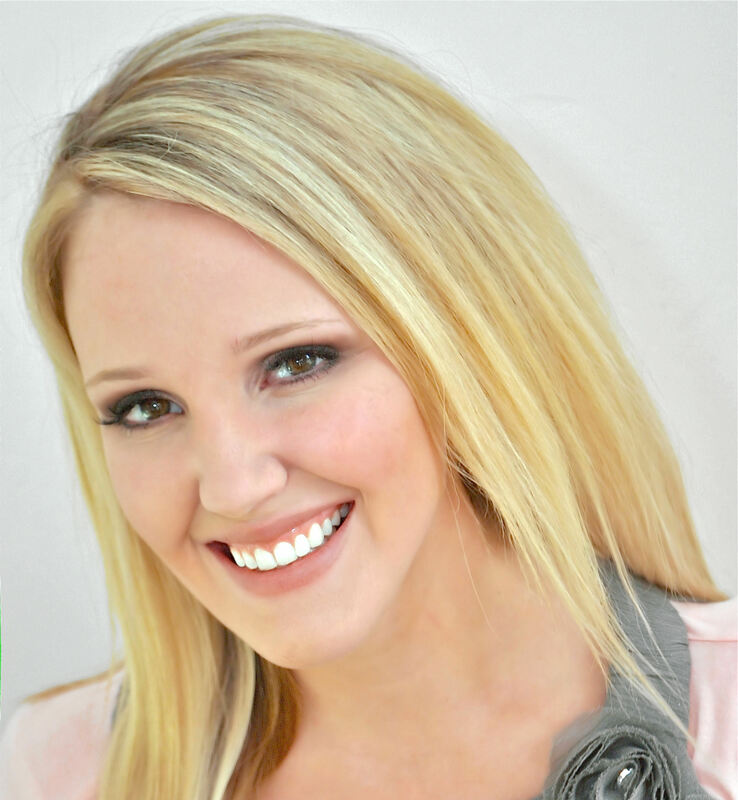 ( Games host, Tashana)- Thank you. 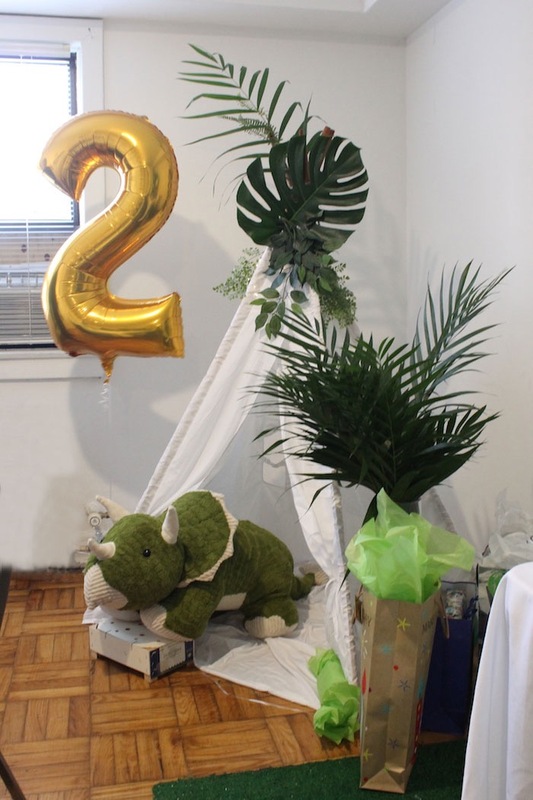 The teepee tent was used for the gifts and also was a great play area for the little ones.